Author Archives: Dr. Grover B. Proctor, Jr.
Born in the small town of Apex, North Carolina, in 1895, Kyle Monroe Yates became one of this country’s preeminent Biblical scholars, an Old Testament specialist, a member of the elite group of scholars who translated the Revised Standard Version of the Bible, author of the most widely respected textbooks on the Hebrew language plus numerous volumes on preaching from the Bible for ministers, a leader in the Southern Baptist Convention, a preacher of highest reputation, Biblical consultant to Cecil B. DeMille during the making of the classic film The Ten Commandments, and a Distinguished Professor of Bible at Baylor University. Given here is an abridgment of my Biographical Monograph of Dr. Kyle Yates. Th.D., Ph.D., D.D., LL.D., Litt.D. and no wrong was found on his lips. by Dr. Grover B. Proctor, Jr.
As noted in the title of this monograph, Dr. Kyle Yates was best known to the world as a pastor, a theologian, and a scholar. And there is no question that he was nationally renowned for his extremely high levels of contribution and service to each. He did all of this, in an 80-year lifespan, while maintaining a gentleness, benevolence, empathy, humility, and deep Christian love for all those with whom he came in contact. One former student of his at Baylor University, in a book called People Sharing Jesus, said Dr. Yates was “one of the kindest, most gracious men I have ever known.” Another former student unequivocally called him “Statesman, scholar, and stimulator!” – describing Dr. Yates walking into class the first day as a man “with such poise and dignity that I wanted to stand and welcome him. His tall stature, flowing gray hair, and radiant smile captured me immediately. If I were to paint a picture of a president or world statesman, it would be this man.” This same former student suggested that the verse from Malachi (which forms a part of the title section above) truly describes Dr. Yates. 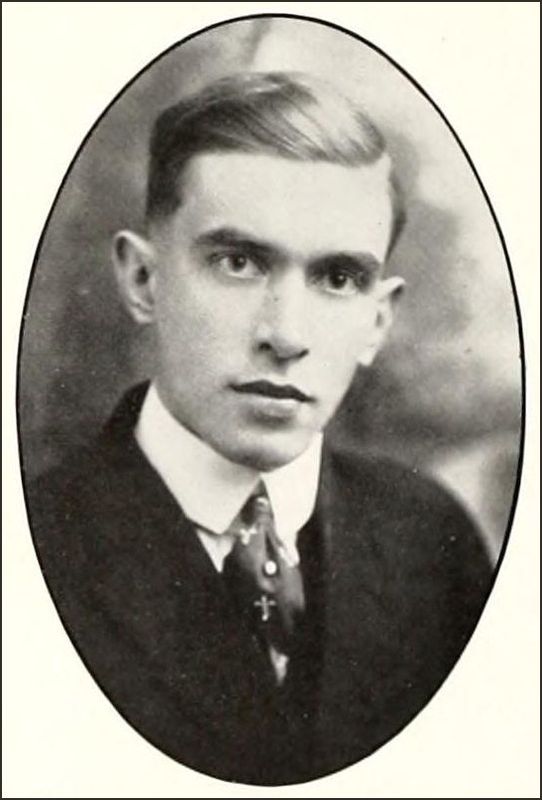 Kyle Yates was born February 7, 1895, in Apex, North Carolina, the first of eleven children of William Charles Manly Yates and Della (Jones) Yates. His education began with a diploma from Campbell College in Buies Creek, NC, in 1911, after which he graduated from Wake Forest College with an A.B. degree in 1916 and an A.M. degree in 1917, working as a farm hand to pay his way through school. At Wake Forest, he was a star on the school’s basketball team that that still boasts the “most successful season in the history of the college.” Yates’ Senior portrait, from that 89% winning-percentage season, is shown above in the title section. His education continued at Southern Baptist Theological Seminary, in Louisville, Kentucky, where he received both a Master’s (Th.M.) degree in 1920 and a Doctorate (Th.D.) in 1922. His doctoral Thesis at the Seminary was titled The Prophetic Movement in Israel, and he would go on to become one of the world’s most widely acknowledged and leading experts in the Old Testament in general, and specifically in the Prophets. After completion of his doctorate, he joined the faculty of Southern Baptist Seminary as a Professor of Old Testament. While he was on faculty there, he took a sabbatical year and went to the University of Edinburgh in Scotland, where he earned a Ph.D. degree in 1932, writing a Dissertation on the Aramaic and Greek languages. In addition to further study he undertook at Princeton University, during his distinguished career he was awarded honorary doctorates from Baylor, Wake Forest, Union, and Mercer Universities. He was expert and fluent in Hebrew, Greek, Aramaic and Latin. Yates showed his total love and affection for his wife by the references he repeatedly made to her (in class and elsewhere) as his “little bride,” his “princess,” his “little one,” and “a sweet little thing that keeps in me in line.” The two seemed inseparable throughout their lives together. She routinely joined him on the golf course and on his transcontinental auto tours. Margaret Yates died on August 8, 1987, at the age of 91. It was during his twenty years on faculty at Southern Baptist Seminary that Yates began his second career as an author. “In response to the need for an introductory Hebrew grammar,” the Seminary wrote in its remembrance of Yates, “he prepared and published The Essentials of Biblical Hebrew which soon won for itself wide recognition. In 1938 it was revised and enlarged, particularly in its treatment of Hebrew syntax.” It came to be among the most widely used and well respected books in this field, in use for multiple decades at both Christian Seminaries and in Jewish rabbinical schools. By the time of his retirement, his book Preaching from the Prophets had gone through 27 editions. His Preaching from the Psalms, later reissued with the title Psalms of Joy and Faith, was dictated onto tapes while he was on a brief vacation in Palacios, Texas, and within 31 days of its publication it had sold 250,000 copies. The aim of The Bible from 26 Translations is to combine in one volume the complete KJV and the most significant variations from 25 later translations. Here is Psalm 23:1-2. While being known for being “slow to list his many accomplishments over the years,” Yates always acknowledged that his proudest achievement was being selected as one of the nine original scholars commissioned to translate and prepare what would become known as the Revised Standard Version of the Bible (RSV), a project that ran from 1938 to 1952. The RSV Bible was a modernization of the American Standard Version (ASV, 1901), which was an updating of the Authorized (King James) Version (AV or KJV, 1611). The RSV has itself been modernized by both the New Revised Standard Version (NRSV, 1989) and the English Standard Version (ESV, 2001). 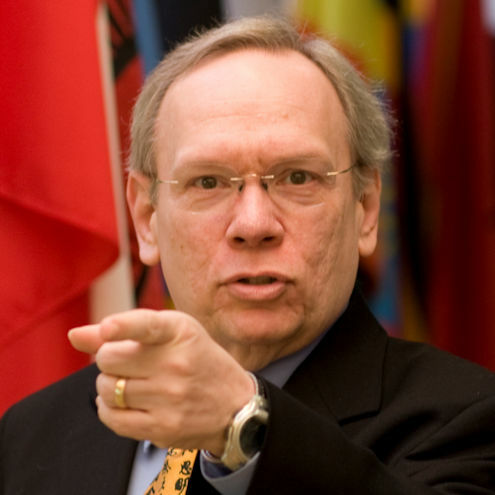 Yates’ leadership role in this endeavor puts him inside the highest levels of the English language Bible tradition, and he participated in several other scholarly Biblical publishing projects. He was one of the 40 theologians who collaborated on the Wycliffe Bible Commentary, published in 1962, for which he wrote the entire commentary on the book of Genesis. Dr. Yates also served as a “Contributing Editor for the Old Testament” for the mammoth 2,592-page The Bible from 26 Translations, which began to be published in sections in 1967, and then all together in one volume in 1988. It is still in print today from Mathis Publishing, under the title The WORD: The Bible From 26 Translations. During all of his time at Southern Seminary, he always had a strong ministerial focus. When he decided to leave there in 1942 to enter into the full-time pastoral work at Louisville’s Walnut Street Baptist Church, the Seminary recommended him highly: “His friendly approach will reach to all members of his great congregation and beyond in his pastoral ministry. His understanding of people and his ability as a public speaker will give to his preaching a powerful popular appeal. His long study in the field of Biblical interpretation will give to his message a solid content and educational value. And the evangelistic note in all his preaching will carry on the fine tradition of the great evangelistic church.” Yates’ tenure at Walnut Street, described as “Kentucky’s largest congregation,” lasted four years. Judge Kennerly spent 30 minutes of expensive long distance time, in an effort to convince Yates to accept the congregation’s call to become their pastor. “I remember telling him I saw no reason to give up my pastorate in Louisville,” Dr. Yates recalled. “But his response was, ‘The only reason, my boy, is that you should follow the will of the Lord.’” He was on a plane to Houston for meetings on Thursday and Friday of that week, and was reportedly back in Louisville the following Sunday, announcing his resignation. 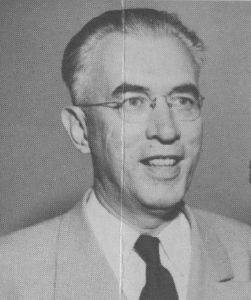 While he was the pastor at Second Baptist in Houston, Yates served as the 2nd Vice President of the Southern Baptist Convention in 1956, and later as Vice President for one year. “…consulted by Cecil B. DeMille on the authenticity of certain portions of the motion picture, The Ten Commandments. Dr. Yates happened to be in California last summer when the $9.5 million DeMille picture was nearing completion. When DeMille, who spared no effort or expense to authenticate every detail of this project, learned of Dr. Yates’ presence on the West Coast and of his eminence as a Bible scholar, he immediately contacted the Baylor professor and invited him to lunch…. Dr. Yates reports that it was a most interesting and stimulating experience…. In 1956, Yates left the active, full-time ministry in Houston to travel up to Waco, Texas to join the faculty of Baylor University, where he held the rarely accorded rank of “Distinguished Professor.” In moving to Baylor, Dr. Yates said it was not only to enable him to resume his teaching career but also to spend more time on his writing. At that time, he had published six books, including two he had completed in his “Preaching From…” series, to which he hoped to add another four volumes. In addition to his scholarly research and writing while at Baylor, Yates continued to find avenues of preaching outreach. Among the many honors and awards he received during this time was an Award of Merit presented by the Radio Television Commission of the Southern Baptist Convention, recognizing him “for teaching the International Sunday School lesson on the Baptist Radio Hour every week for two years” to a documented audience of 2 to 5 million people weekly. 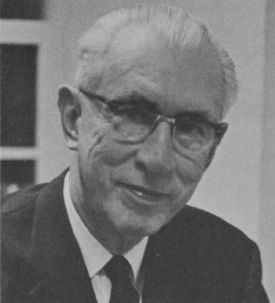 Yates retired from Baylor in 1969 at the venerable age of 74, with the title bestowed on him of Distinguished Professor Emeritus. Just eight days after his eightieth birthday, on Saturday, February 15, 1975, Dr. Yates passed away in a Waco nursing home, as a result of congestive heart failure. He is buried in Oakwood Cemetery in Waco. On Dr. Yates’ tombstone is the Greek word hypernikomen (spelled out in perfect original Greek). Meaning “to be more than a conqueror,” the word is used only once in the Bible, but it comes from what was Dr. Yates’ most quoted passage, Romans 8:37. As shown in The Bible from 26 Translations, the Greek word hypernikomen has been rendered in various translations as “we more than conquer,” “we keep on gloriously conquering,” and “we win an overwhelming victory.” It is no wonder, then, that this word appears as the lasting memorial of the life and service of Dr. Kyle Yates. Who shall bring any charge against God’s elect? It is God who justifies; who is to condemn? Is it Christ Jesus, who died, yes, who was raised from the dead, who is at the right hand of God, who indeed intercedes for us? For I am sure that neither death, nor life, nor angels, nor principalities, nor things present, nor things to come, nor powers, nor height, nor depth, nor anything else in all creation, will be able to separate us from the love of God in Christ Jesus our Lord. “Yesterday I read this ‘crazy’ quote on a pro-life website, alleging that no babies with Down syndrome had been born in Iceland in the last five years, because 100% of expectant moms undergo pre-natal screening for DS and 100% who get a positive result abort. I was absolutely SHOCKED by this, and set out to research whether or not it is true. Wait a minute… Iceland has purposefully worked toward this result (as reported by the BBC), and as a nation they are PROUD it of? HAPPY about it?? This is a national VALUE??? All Christians should tremble and weep at this news. From Catholic and Orthodox to Episcopal and Anglican, from Coptic to Sabbatarian, Protestant to Reformed, Pentecostal to Evangelical, even monastics to cultists — we all share the same 66 books in the Word of God. Can we not read? Are our hearts and minds not moved? Pray fervently and without ceasing that God will blanket the entire world with a powerful spirit of humility and repentance that will Stop the Abortion Holocaust! Click Here to read the rest of the article I referenced above, from ForEveryMom.com. Click Here for the original BBC article, well worth reading. I set you apart before you were born. I want to introduce you to a Ministry which might be new to you, but one from which my wife Adrianne and I continually draw insight, inspiration, and instruction. At that moment, the LORD passed by. … And there was a voice, a soft whisper. and went out and stood at the entrance of the cave. Christian author and speaker Allison Cain writes a weekly Bible study/devotional which she makes available on her blog site and by email for those who sign up for the free subscription. Throughout these short, easily read studies, Allison practices what she encourages all of us to do — she looks around at the everyday occurrences in her own life, and then turns to Scripture to search out the “whats” and “hows” and “whys” located only there. These drawn-from-life vignettes provide an immediate connection to her, and through her, to God’s word. Her style is informal, personal, humble, while at the same time determined, driven, and sometimes (when it’s needed) blunt. While absorbed in her writings, readers very soon are apt to smile and say, “Yep. I’ve been there. Felt that exact way.” From there, the teachings she brings from Scripture lift us to another whole level of perception about our everyday lives, which we might have easily missed, and been the poorer for. Allison has adopted the following as the Mission for her ministry and (Adrianne and I know for a fact) for her own life: “Living at the foot of the cross, encouraging all women to see God in the ordinary.” I have only one quibble with this characterization, in that I know for certain we men can and should be blessed by her insights and teaching as well. These intersections of scripture and one woman’s finding God in her daily life has caused her to listen acutely for God’s “whisper to my heart His desires and lessons for me” — and so she named her site The Whisper of God (1 KINGS 19:12). I truly think you will find comfort, strength, and uplifting by reading her offerings. 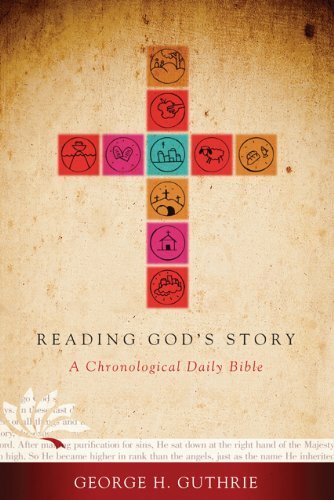 Most recently, she has completed a six-part series exploring aspects of the book of Jeremiah, and I have been particularly drawn to them. In them, she returns to the ancient prophet, to find that his words have elicited a combination of awe, expectation, inspiration, and revelation concerning her and our daily lives. WORD WATCHING : Here is what God lit up in lights for me to see – … for I watch over My word to accomplish it. This is the kind of revelation and reminder that keeps me coming back day after day to God’s word. We often envision God looking down on us and watching over us, but have you ever considered that He watches over His word so that it is accomplished?! 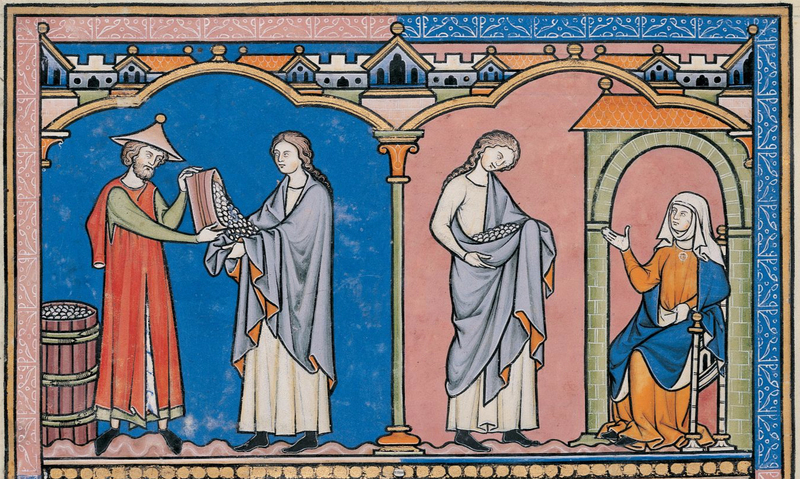 DIRTY UNDERWEAR : Then the word of the Lord came to me a second time: “Take the underwear that you bought and are wearing, and go at once to the Euphrates and hide it in a rocky crevice.” So I went and hid it by the Euphrates, as the Lord commanded me. The Lord has placed a lot of things on my heart over the years, but He has never urged me to purchase underwear, wear it for a while and then hide in under a rock by the creek in our backyard! REPURPOSED : I went down to the potter’s house, and there he was, working away at the wheel. But the jar that he was making from the clay became flawed in the potter’s hand, so he made it into another jar, as it seemed right for him to do. 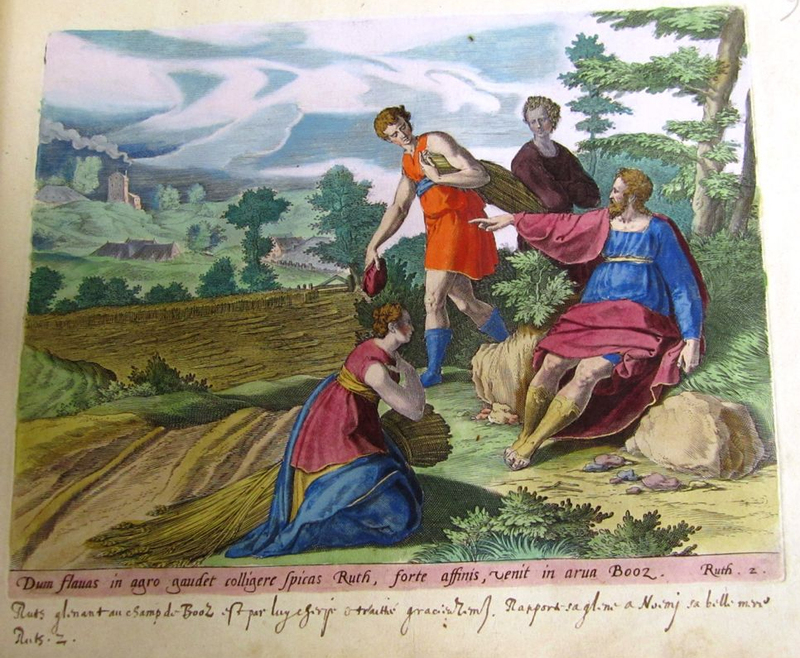 God used this illustration to show Jeremiah how He could change His mind and relent from punishing the House of Israel IF they would turn from their evil ways. For me, it was a wonderful reminder that when I start down the wrong path I can always turn back to God so that He is able to make something new out of me. UNDER THE HOOD : The word of the Lord came to Jeremiah a second time: “The Lord who made the earth, the Lord who forms it to establish it, Yahweh is His name, says this: Call to Me and I will answer you and tell you great and incomprehensible things you do not know.” It’s a wonderful reminder for us that all we need to do is ask God for help, wisdom, grace, forgiveness, patience … the list goes on and on. AN IRRIGATED GARDEN : Their life will be like an irrigated garden, and they will no longer grow weak from hunger. What a beautiful image of what our life can look like with God in it…. I don’t know about you, but I want my life to be like an irrigated garden that never grows weak or weary, that produces fruit pleasing to our Father and sustains me through the splendor and the desert. PRESS PAUSE : Now at the end of 10 days, the word of the LORD came to Jeremiah … [This] reminded me of the times I asked God for direction, got tired of waiting and acted on my own accord (never ending up very well). I know my life and all of our lives would look very different if we could seek the Lord for any and all direction we need, pause until we hear from Him and live out this example to our children and others. It’s a tall order in this world of instant communication, instant grits, popcorn, gratification. You name it, and we can access it any minute of the day. 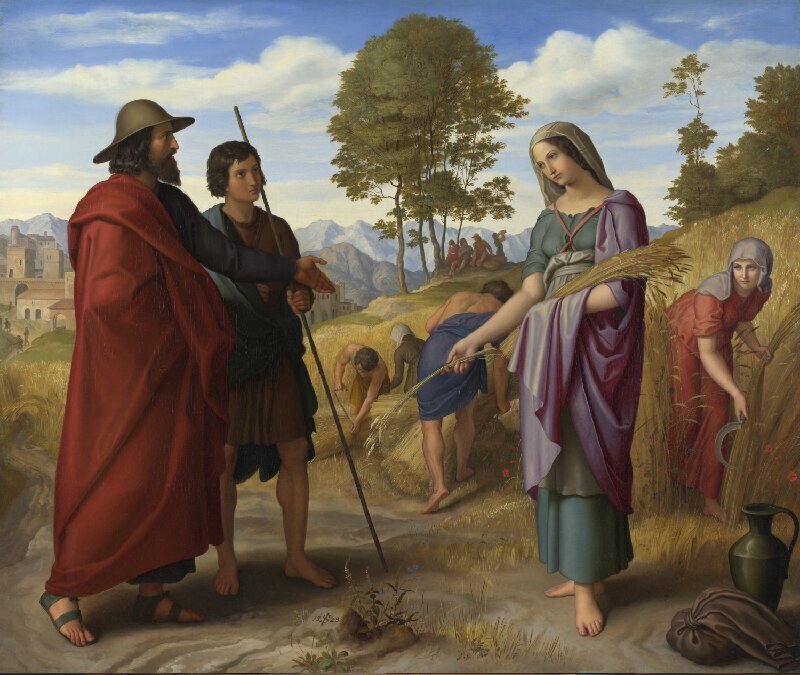 In the devotionals that have followed the Jeremiah series, she has visited Lamentations and Ezekiel. I like where this seems to be going! Allison is also an author and has also published six books, which I highly recommend. You can see them all in the table below. It was my distinct honor to have been associated with Allison from the very beginning of her career as an international Christian speaker, for which purpose she is an absolute natural. You might consider having her come to your church to share her unique and Christ-centered vision. You will neither regret it nor forget her message.